Thought you knew concrete? Think again. 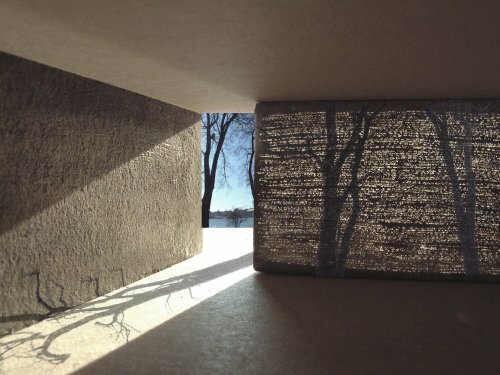 Light transmitting or translucent concrete is now available as a building material to create greener, more beautiful buildings. Used in much the same way as traditional concrete, transparent concrete not only has the same compression strength as high compression concrete but is also lighter. To make this amazing new material the stone aggregates are replaced replacing with transparent materials such as fiber optics and clear resins. Transparent concrete was originally developed in 2001 by a Hungarian architect Aronlosonzi and led to the development of his product LiTraCon. Transparent concrete is produced by mixing 4% to 5% (by volume) optical fibers in the concrete mixture. Transparent concrete uses sunlight as source of light instead of electrical energy and reduces power consumption. This concrete can also be used in cold countries to transmit heat with sunlight. Check out some of the possibilities here.